Personal Software Process (PSP) is a defined and measured software process designed to be used by an individual software engineer. For PSP users, it’s important to evaluate the impact of the PSP upon their own personal capabilities of software development. However, the evaluation of capability of PSP is a Variable Return to Scale (VRS) and multivariate input and output problem, which makes traditional evaluation methods useless. In this paper, an evaluation framework for the capability of PSP based on Data Envelopment Analysis (DEA) is proposed. This framework has the advantage of dealing with VRS issues with multivariate input and output. In addition, the input or output variables of the framework can have different measurement units. 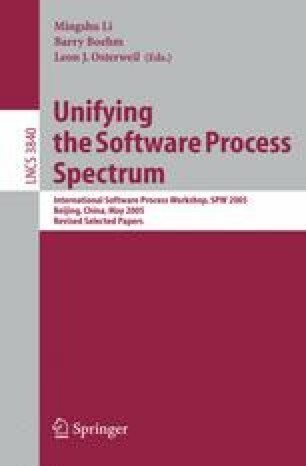 Therefore, a quantitative and comprehensive result can be returned by this relative efficiency evaluation method and it can support the continuous improvement of PSP.